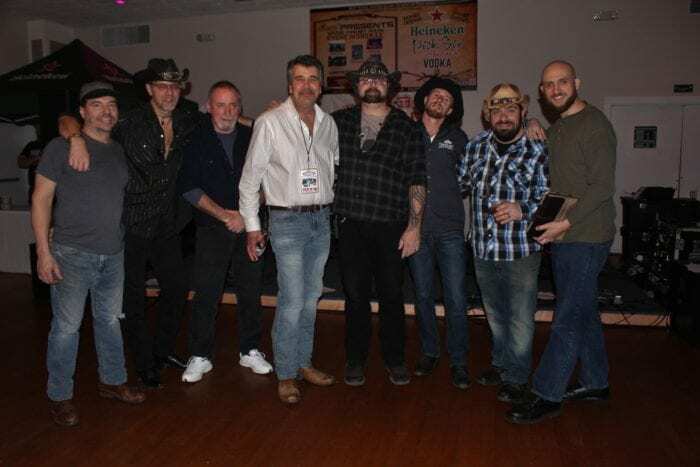 Parti Events & Banquet Hall, in partnership with local radio station, 88.3 The Saint, hosted their first annual winter concert series event on Thursday, Jan. 10 featuring live music from True Grit Outlaws. True Grit Outlaws, a local country group based from the Glens Falls area, performed three sets of Top 40 country hits and classic country tunes that had you dancing along the dance floor. True Grit Outlaws, featuring bassist Shawn Blackmer, vocalist Bruce Brockway, lead guitarist James Ferris, drummer Rol Gilman, guitarist Arthur LaFleur, and pianist Darrell, had previously opened for the Charlie Daniels Band last July in Lake George. 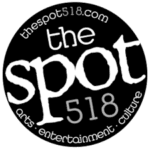 The band, since its formation in 2012, has been carving a name for itself in the Capital District country music scene. Watching the band make their stage debut at Parti Events & Banquet Hall, it is clear to see why this group had the honor to open for a legendary country star through their song choices, their musicality, and a strong band chemistry amongst its members. True Grit Outlaws delivered well in bringing their country covers to life during their venue debut. Mixing it up between various hits as Play Something Country (Brooks & Dunn), Fast as You (Dwight Yoakam), Tennessee Whiskey (Chris Stapleton), to classic country hits such as Simple Man (Lynyrd Skynyrd), Good-Hearted Woman (Waylon Jennings), Folsom Prison Blues (Johnny Cash), the band had put on a great performance to a light crowd of patrons that had come to the banquet hall to have a few drinks, eat appetizers, and dance. In the beginning of the final set, the band had a young guest performer, three year old Brayden, come up on stage dressed up as a cowboy holding his acoustic guitar, to sing and play some songs with the band until he decided to leave the stage to perform the remaining songs on the “drums” (three bar stools) with a pair of plastic forks. Despite fighting through a cold, Blackmer’s vocals stood out to me when it came to sing some of the band’s classic country songs that were included into the mix. The deepness of his voice and the way how he had sung Folsom Prison Blues and Good-Hearted Woman, had eerily reminded me of hearing them directly from Cash and Jennings themselves. Another stand out moment for me was through their rendition of Jamey Johnson’s In Color. A song that you don’t normally hear often performed by other local country cover groups, this group, with all their vocals and their tight musicality, performed a great cover of this song, done in tribute to the veterans that had served our country. It was nice to see how tight each of the musicians were in their delivery and their drive to performing In Color, as well as their other songs, to their fullest extent. True Grit Outlaws was both entertaining and fun. They were able to bring their country audience out to the City of Troy to be entertained on a Thursday evening as part of Parti Events & Banquet Hall’s winter concert series. Upcoming performances to be held during this year’s winter concert series also includes Whiskey Highway (Feb. 7), Beatin The Odds (Feb. 21), and Hair of the Dog (March 7). Admission for the event is $5.00 in advance and $10.00 at the door. For VIP access, it is $40.00 at door, $30.00 in advance and it will grant you access to private bathrooms, private room and seating, open bar (beer and wine), and a catered dinner. Like Parti Events and Banquet Hall on Facebook to stay updated on when the winter concerts are going to be occurring this winter season and learn about the services that it provides to residents that need a place to host a private event, party, or a musical performance. True Grit Outlaws is slated to perform as part of this year’s Power’s Park Summer Concert Series in August.